YJ YouShows - a unique and dynamic video template from the studio YouJoomla. 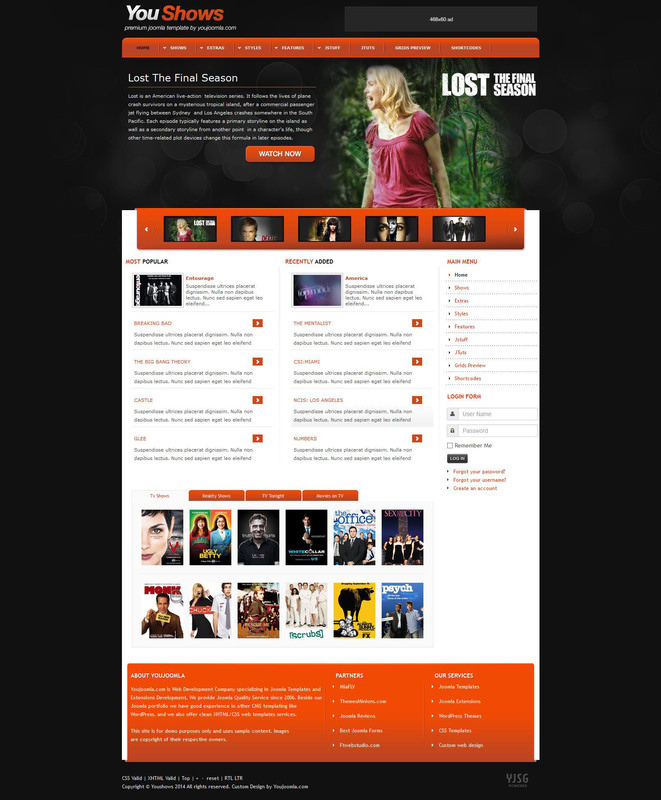 Has a unique slider rotator video content YJ Movie studio 2.0, which also serves as a video player online movies. Powered by YjSimpleGrid framework. SEO template uses functions in all modern browsers, has 51 module positions, 36 combo styles CSS, smooth dropdown menu, split menu, the compression on the server side, additional printing styles, adjustable width.